Ukraine International Airlines (UIA) on May 4 expanded its fleet with second long haul widebody Boeing 777-200ER plane. The press service of the airline reported that it was officially registered in Ukraine under the UR-GOB registration number. Boeing 777-200ER aircraft accommodates 361 passengers in three-class seating configuration, i.e. Business Class, Premium Economy Class, and Economy Class. UIA expects to operate the UR-GOB aircraft under a contract with AerCap which envisages the delivery of two more Boeing 777-200ER in 2018. “The aircraft is equipped with Panasonic Corporation individual IFE system. Every seat is equipped with personal screen with a vast content menu, including feature movies, TV shows, a variety of Ukrainian movies, movies for children and cartoons. The content is available in several languages, Ukrainian, English, Chinese, Russian, French, Hindi and other languages,” the UIA said. The aircraft is equipped with Bruce Aerospace Sky Interior modern lighting system which is customized so that the lighting regime changes according to natural environment. 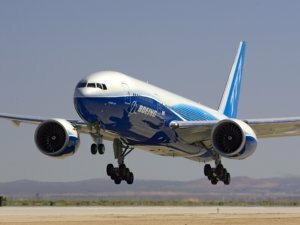 Two more Boeing 777 aircraft are scheduled to arrive in Q2 – Q3 2018. 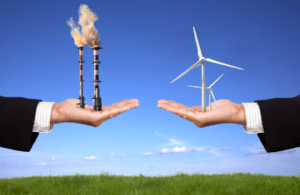 National energy company Ukrenergo in January-March 2018 increased transmission of electricity through trunk power grids by 0.5% (by 145.197 million kWh) compared to the same months in 2017, to 30.224 billion kWh. 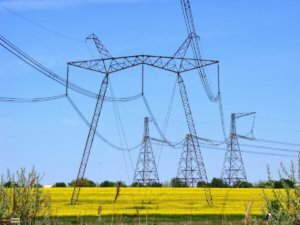 According to a report on the company’s website, the cost of electricity transmission services for January-March fell by 28.8% (UAH 251.344 million), to UAH 1.087 billion. Ukrenergo in January-March 2018 increased capital investments by 61% (by UAH 403.32 million), to UAH 1.065 billion. Total expenses increased by 9.2% (by UAH 61.452 million), to UAH 728.505 million, in particular repair costs increased by 1.8% (by UAH 509,000), to UAH 28.045 million. The Sikorsky Kyiv international airport plans to overhaul a runway in coming two or three years, Board Chairman Denys Kostrzhevsky has said. “The next stage to increase the passenger flow and increase profits and payments to the budget will be the reconstruction of the runway and the airfield. The runway has been operated for about 10 years and gradually deteriorates. To ensure flight safety, it is necessary to overhaul runway in the coming two or three years, with the closure of the airport for a year,” he said in an interview with Interfax-Ukraine. 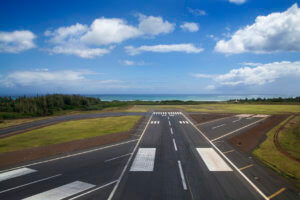 According to the top manager, the problem is that the runway currently belongs to the municipal enterprise, that is, to the city’s community, and only this enterprise can carry out its reconstruction. “In order to attract private funding for the reconstruction of the runway, and this is logical, it is necessary to resolve the issue of transferring the runway to either concession or lease on the terms of reconstruction to a private investor. We face this task for the next two or three years: either at the expense of the municipal budget, or with the involvement of a private investor,” Kostrzhevsky said. The volume of sold industrial products (goods, services) in January-March 2018 stood at UAH 621.436 billion, which is 16.7% more than in January-March 2017, in particular the volume sold abroad was worth UAH 166.784 billion, the State Statistics Service has reported. According to the agency, in March 2018 compared to March 2017 the index of turnover of sold production grew by 10.9%, and by 11.1% compared with February 2018. Sales in mining industry in March 2018 compared with March 2017 grew by 2.25 (4.6% compared with February 2018) and in processing industry – by 12.9% (12.6%). 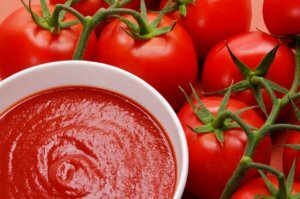 The Agrofusion Group, a large tomato paste and industrial tomato producer in Ukraine, plans to plant and process 630,000 tonnes of tomatoes in 2018, including 9,900 tonnes of organic tomatoes. According to a posting on the group’s website, in 2017, it started producing organic tomato paste. “Last week all growing divisions of Agrofusion has begun tomato seedling transplanting. Favorable weather conditions and timely field preparation allowed to start the transplanting according to the schedule. Transplanting will continue till the end of May,” the company said. Agrofusion Group, founded in 2007, belongs to businessman Serhiy Sypko. Agrofusion includes three tomato paste production plants with the processing capacity of about 7500,000 tonnes of tomatoes per season, as well as farms in Kherson and Mykolaiv regions, processing 25,000 hectares of irrigated land, and two greenhouse farms. The Sikorsky Kyiv international airport intends to expand Terminal A for servicing growing passenger flow, Board Chairman Denys Kostrzhevsky has said. “In the coming years we predict growth of passenger flow and the new large-scale reconstruction being conducted by Master-Avia (the company that manages the airport) is linked to this. 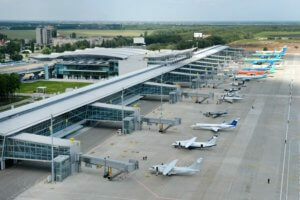 In 2019, the airports arrival and departure capacities would be doubled,” he said in an interview with Interfax-Ukraine. He said that at present, the international flight arrival zone has been re-equipped and expanded, and in the middle of May 2018 the large-scale reconstruction of Terminal A will start at the airport. “Previously, the airport used Terminal D only for servicing domestic flights. Unfortunately, the domestic passenger traffic decreased significantly. IT practically came to nil. It was decided to re-equip a part of the facilities for servicing the arriving passengers from international flights. I cannot name the exact cost of reconstruction, as we are in the process. This is about UAH 20 million,” Kostrzhevsky said. “It is planned to add more areas, about 9,000 square meters, to Terminal A, which will double the number of check-in counters, to 40. Also, the number of passport control desks, security checkpoints will be doubled, and, as a result, the number of passengers served simultaneously will grow 2.5-fold. Now it is about 700 passengers per hour, and there are plans to bring it up to 1,500,” Kostrzhevsky said.